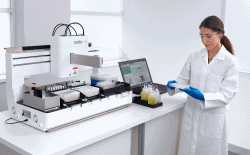 GOETTINGEN, Germany and ROYSTON, UK, March 27, 2019 / B3C newswire / -- Sartorius Stedim Biotech (SSB), a leading international partner of the biopharmaceutical industry, is introducing integrated online biomass measurement to its ambr® 15 fermentation and ambr® 250 high throughput systems for microbial applications. Caption: Sartorius Stedim Biotech is introducing integrated online biomass measurement to its ambr® 15 fermentation and ambr® 250 high throughput systems for microbial applications. 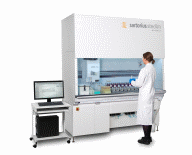 Follow Sartorius Stedim Biotech on Twitter @Sartorius_Group and on LinkedIn.